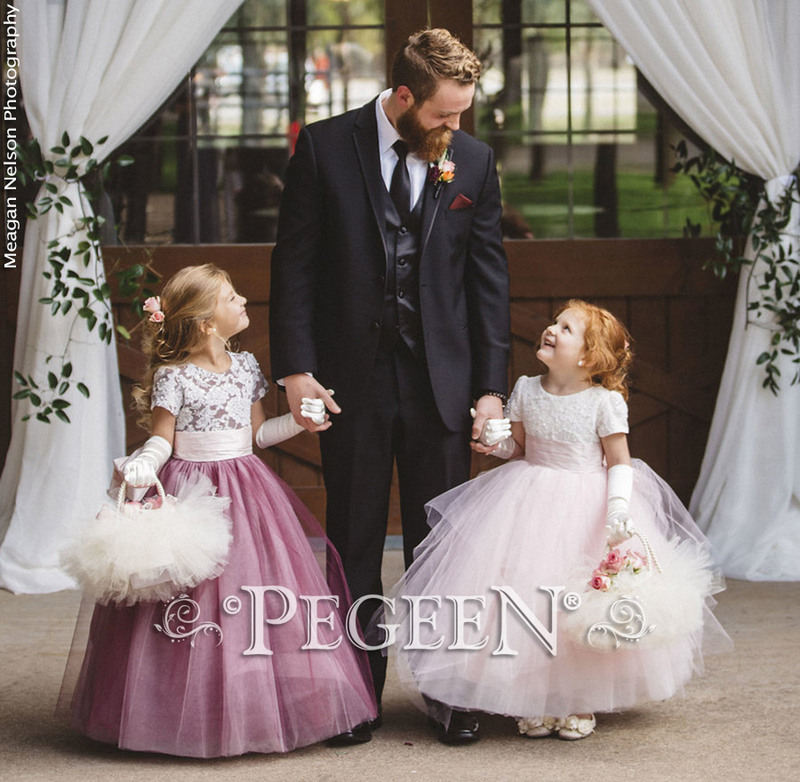 Our bride chose three separate styles all based on a Jr Bridesmaid Dress with Aloncon Lace called Style 924. 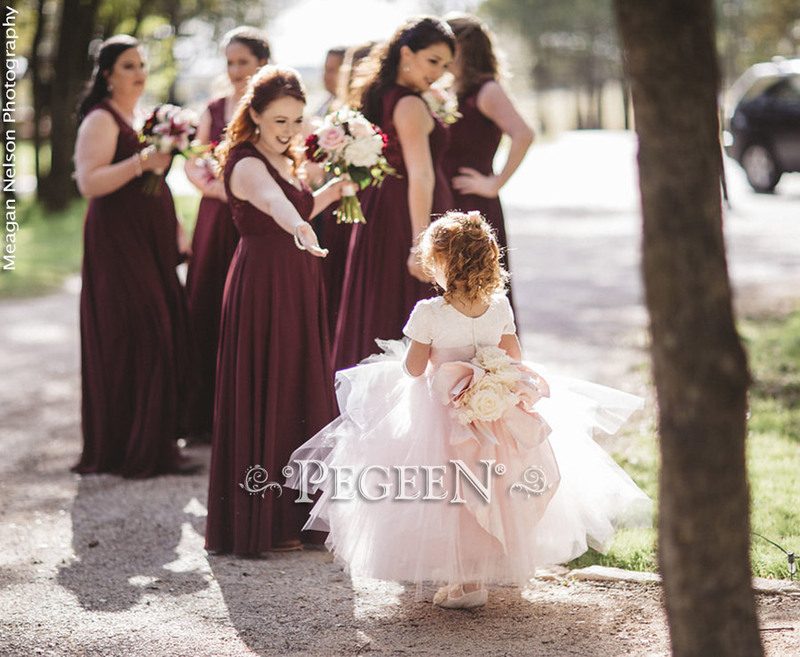 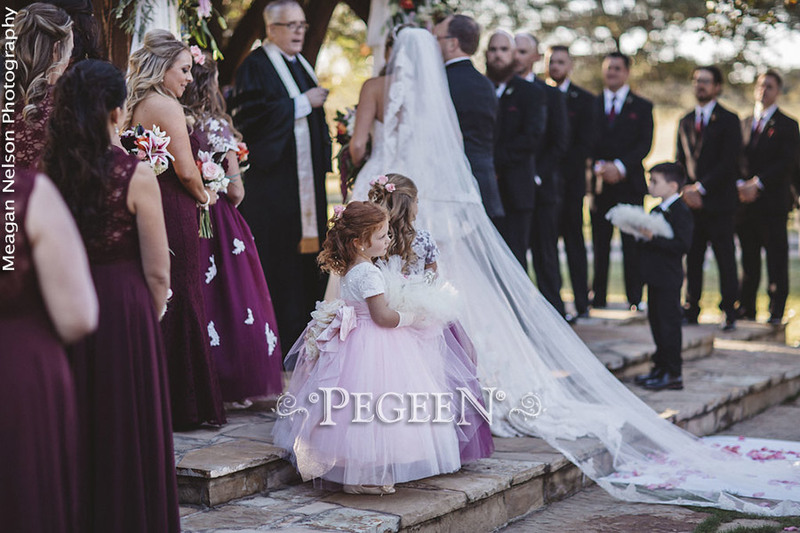 She complimented the two flower girl dresses with Style 402 for the middle girl in burgundy and pink in multi layered color tulle +50 and beaded aloncon lace +65 and for the cute little redhead, flower girl dress Style 921 with aloncon lace and crystals with multi puff layers, also with Aloncon lace. 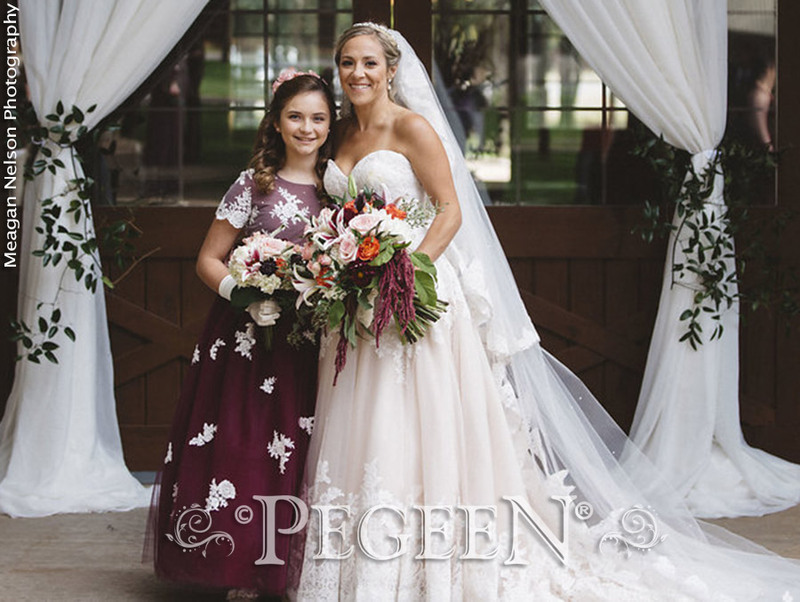 The bride upgraded style 921 with beading +40.. 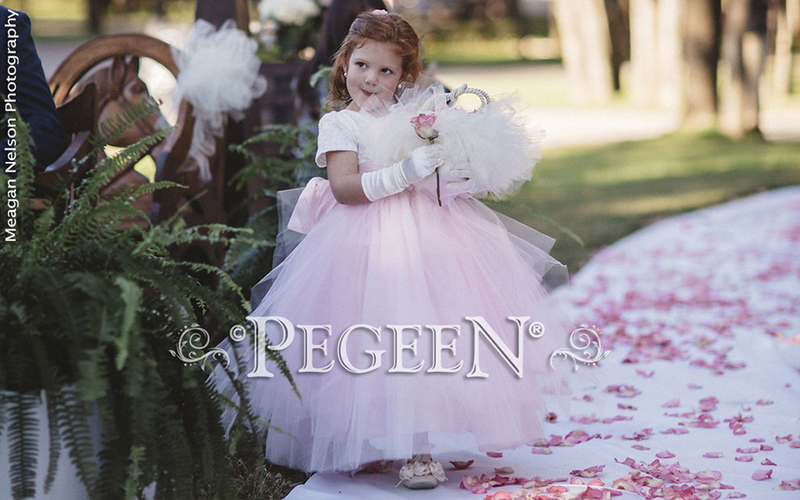 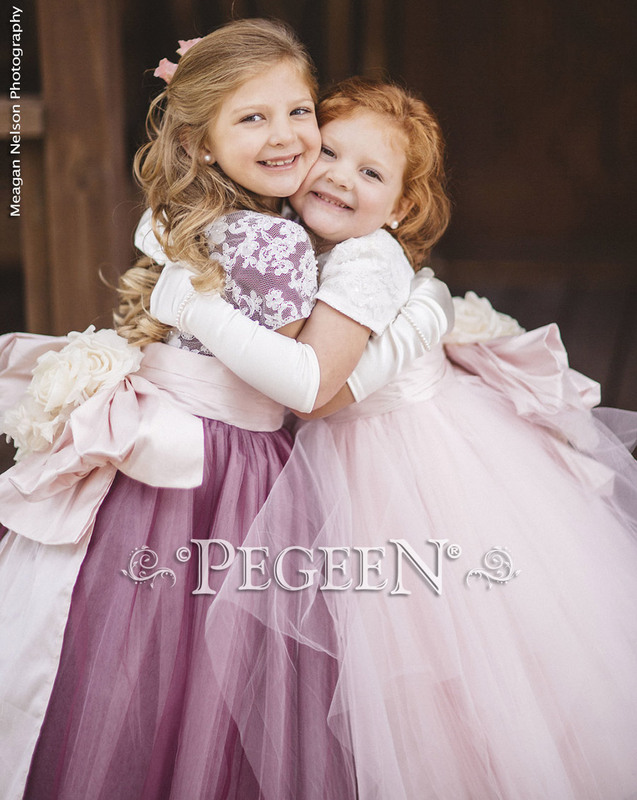 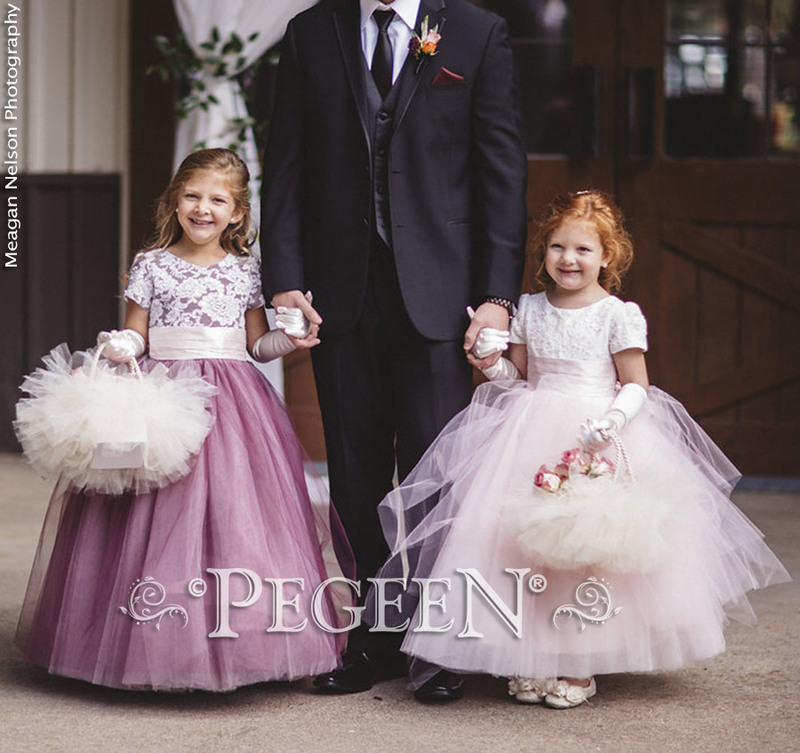 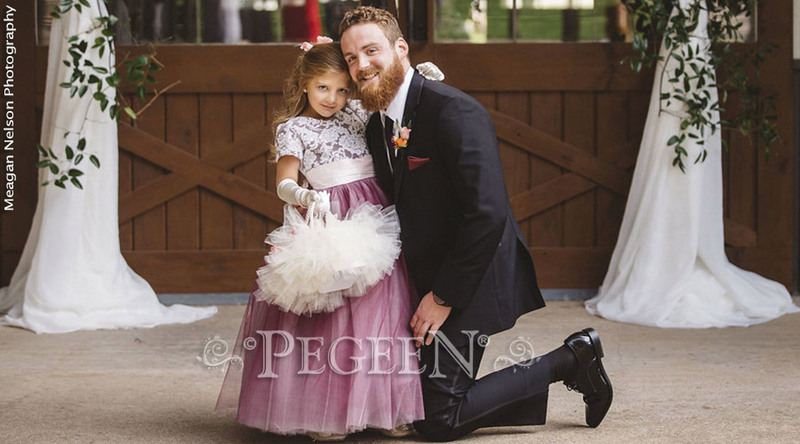 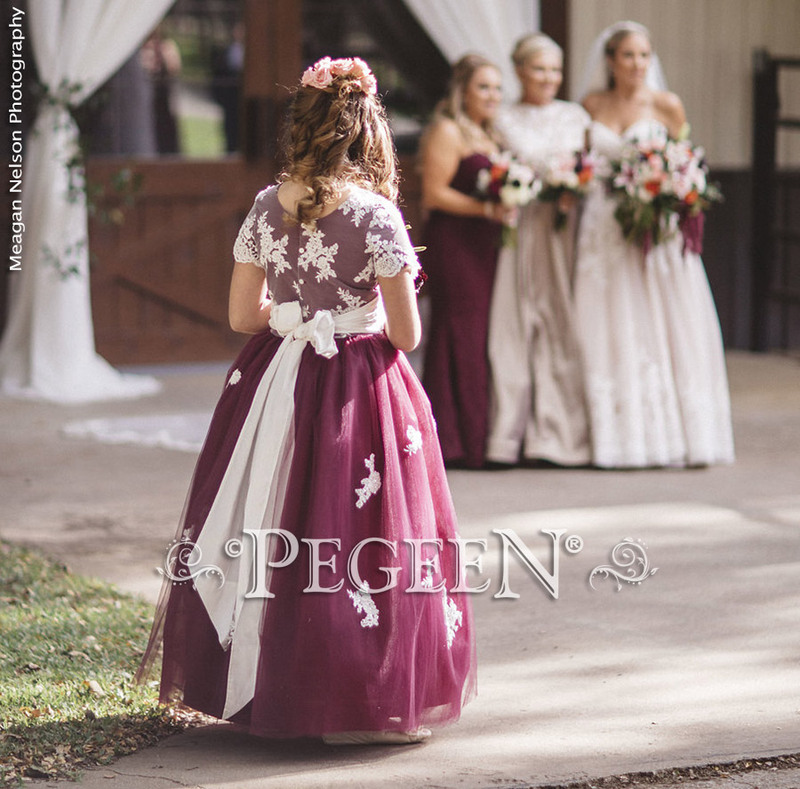 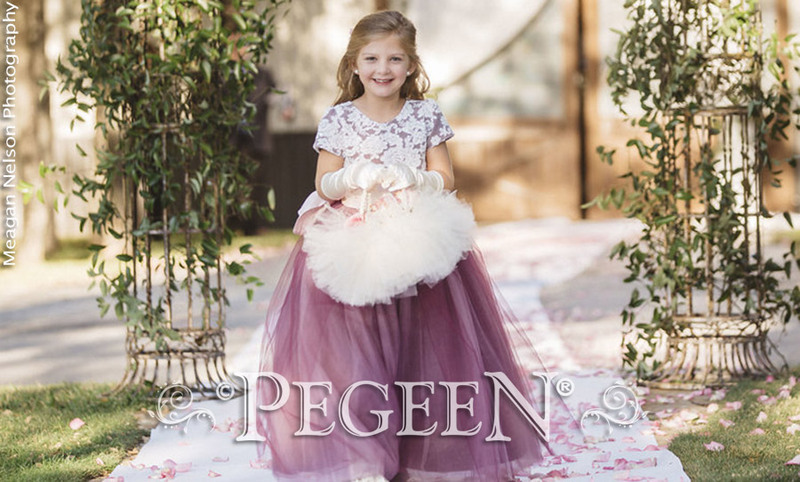 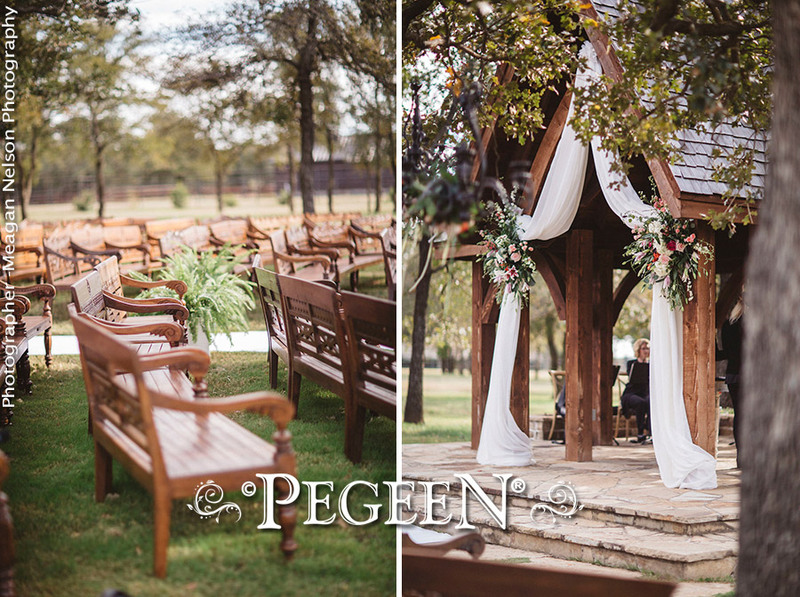 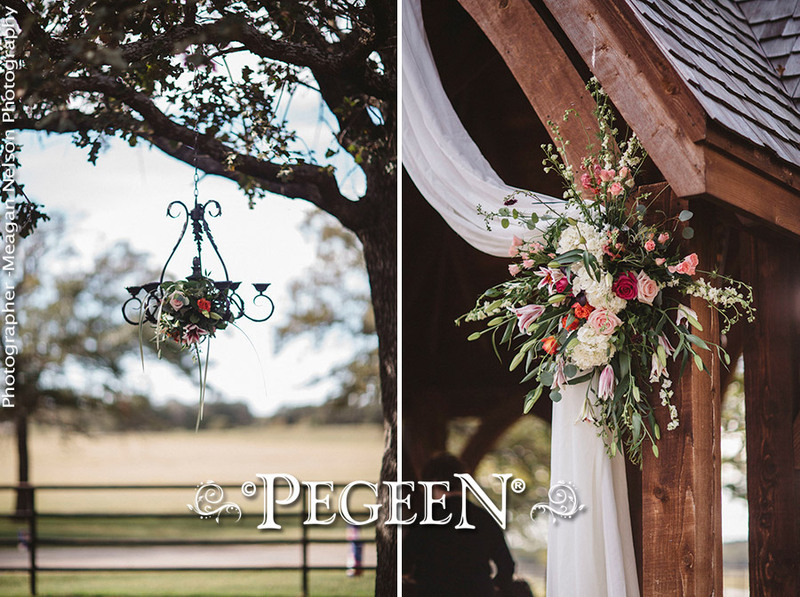 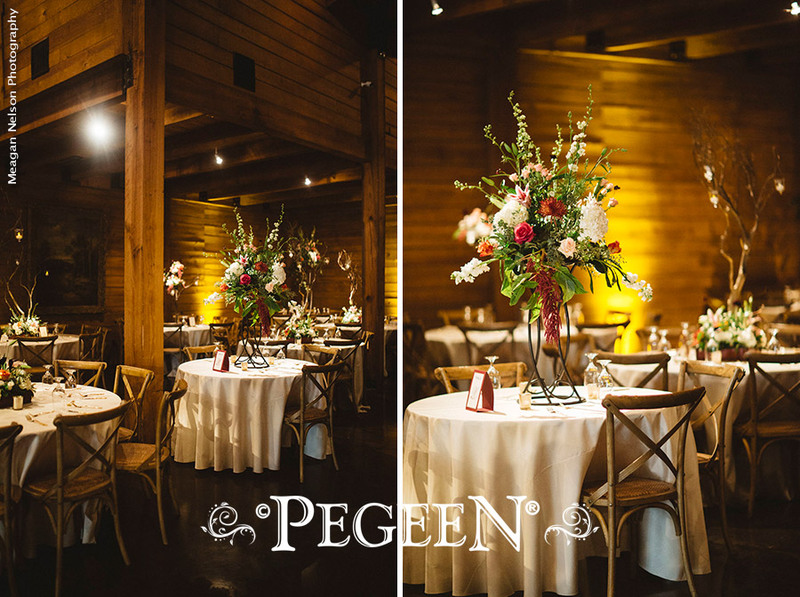 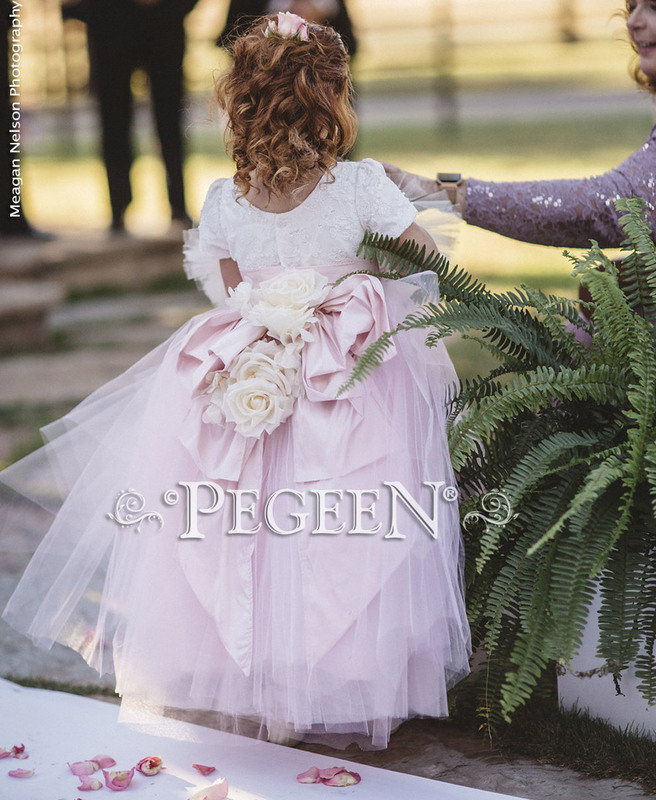 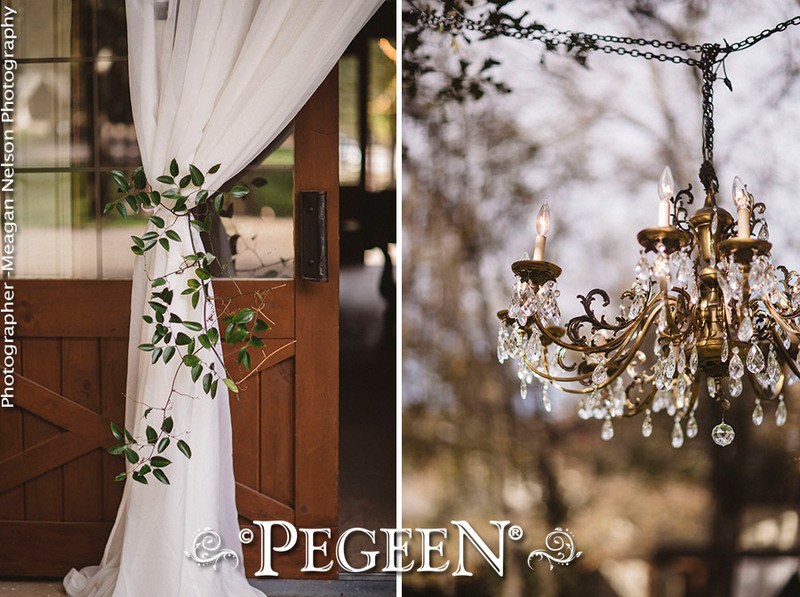 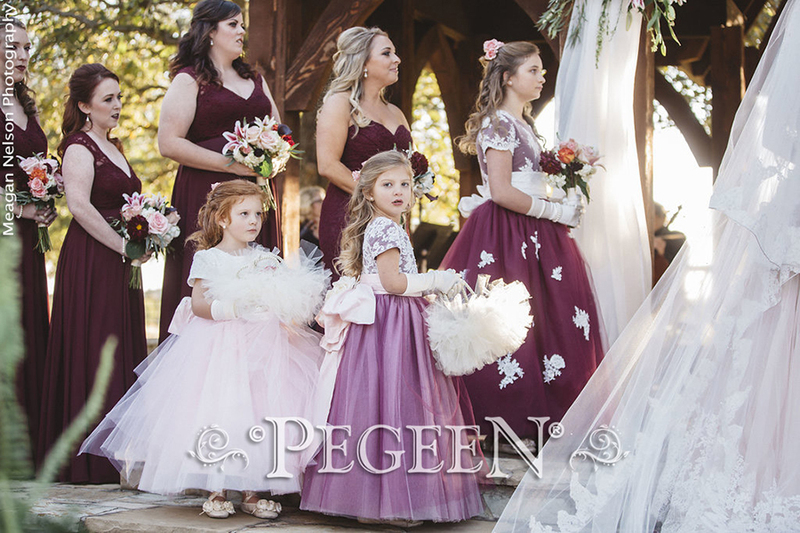 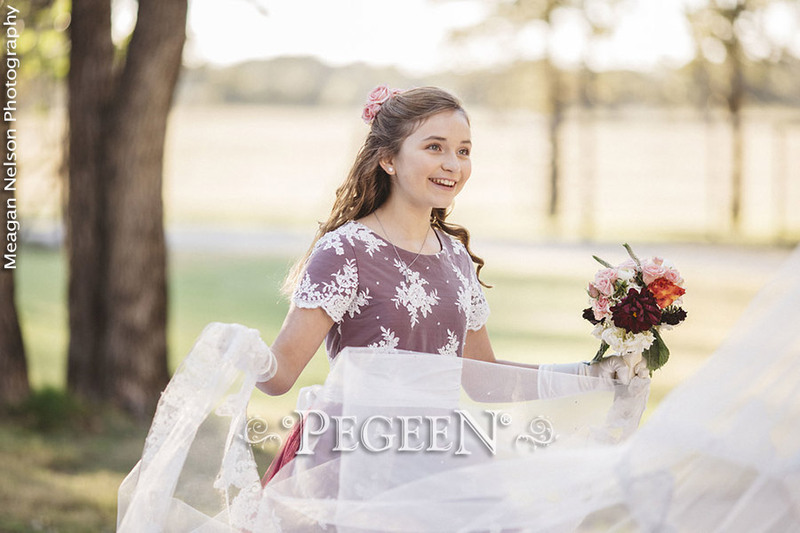 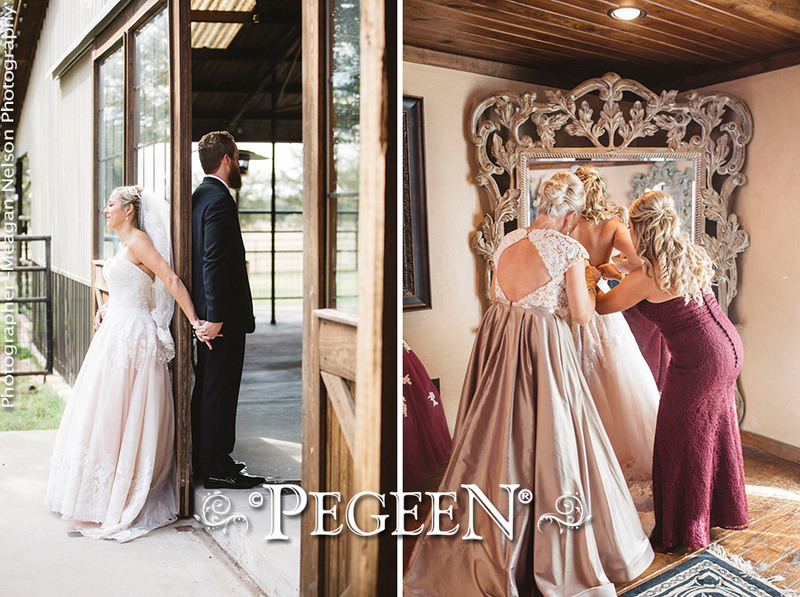 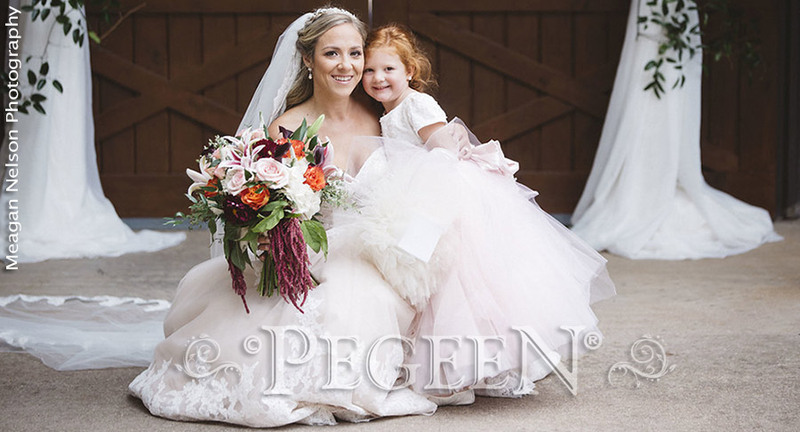 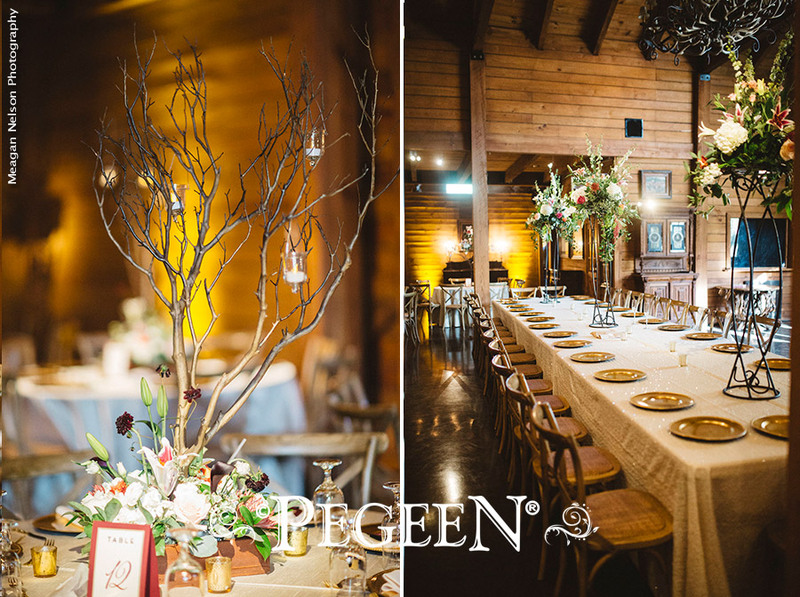 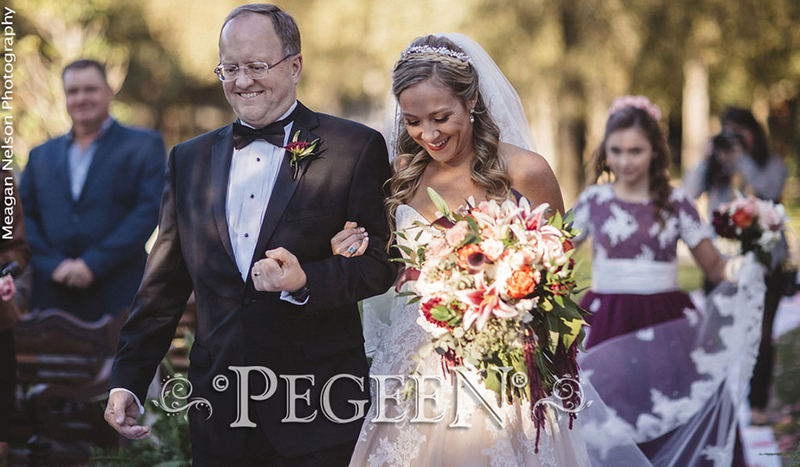 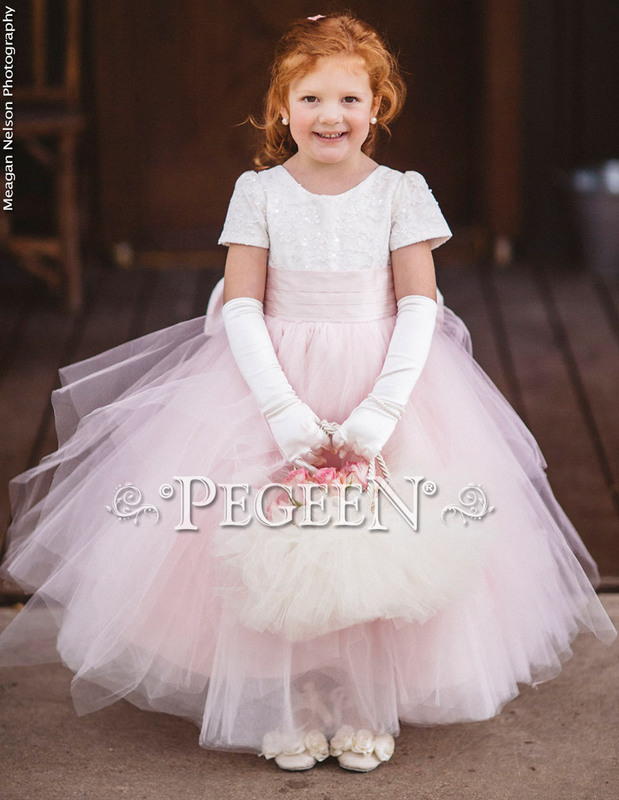 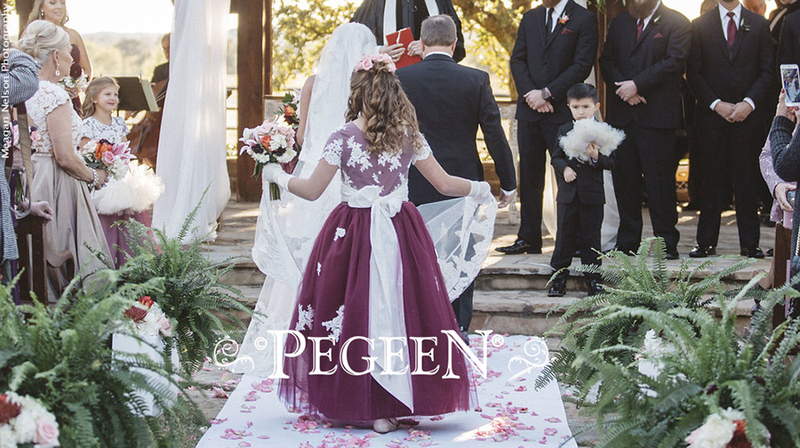 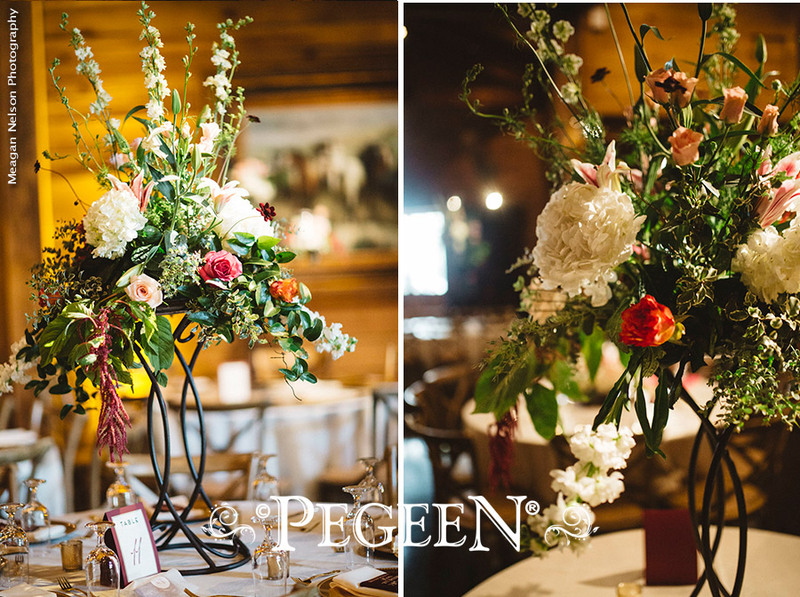 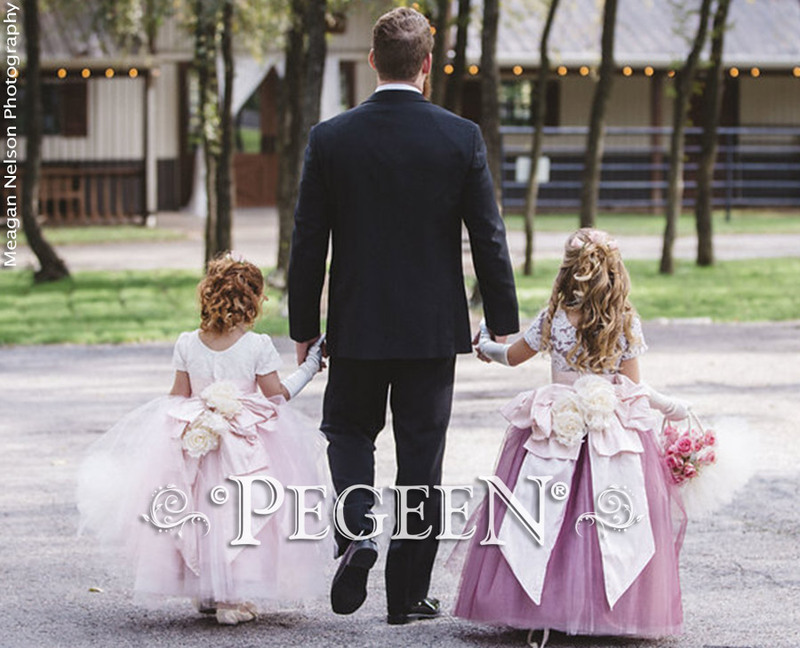 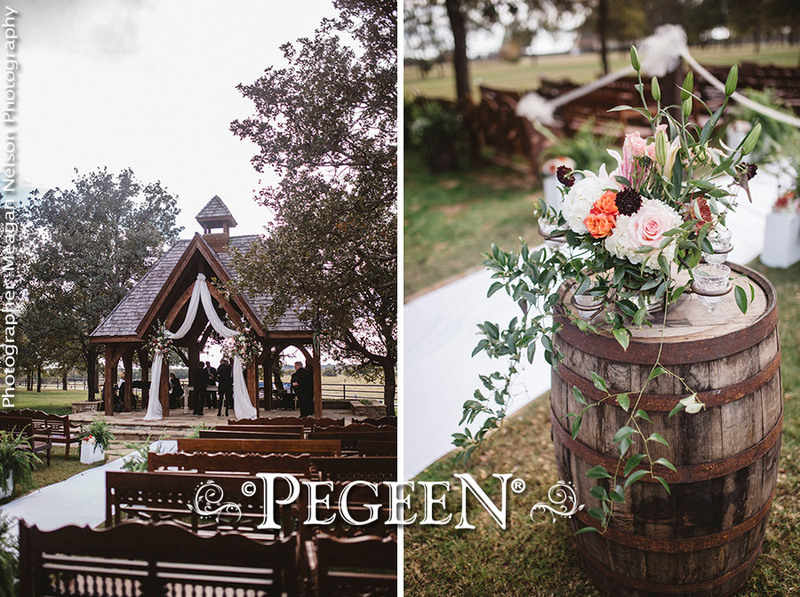 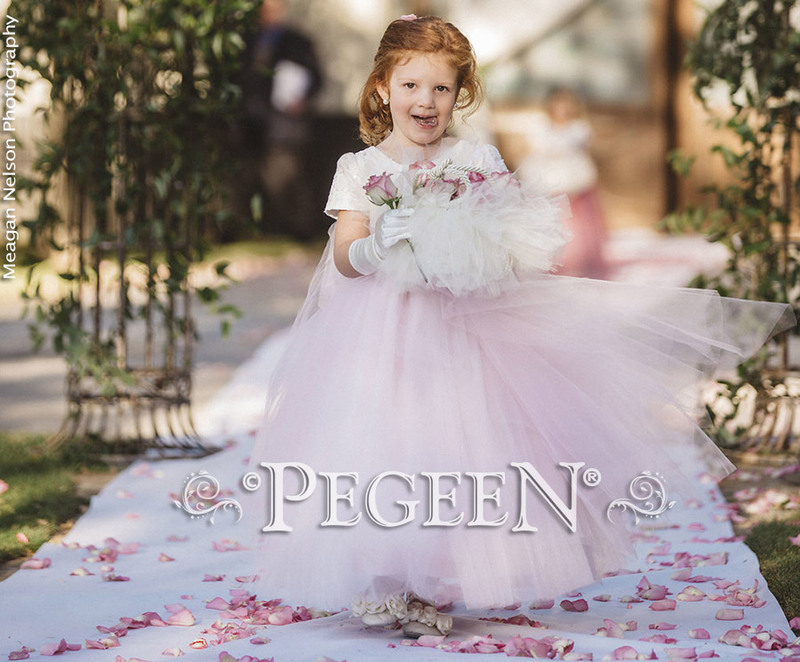 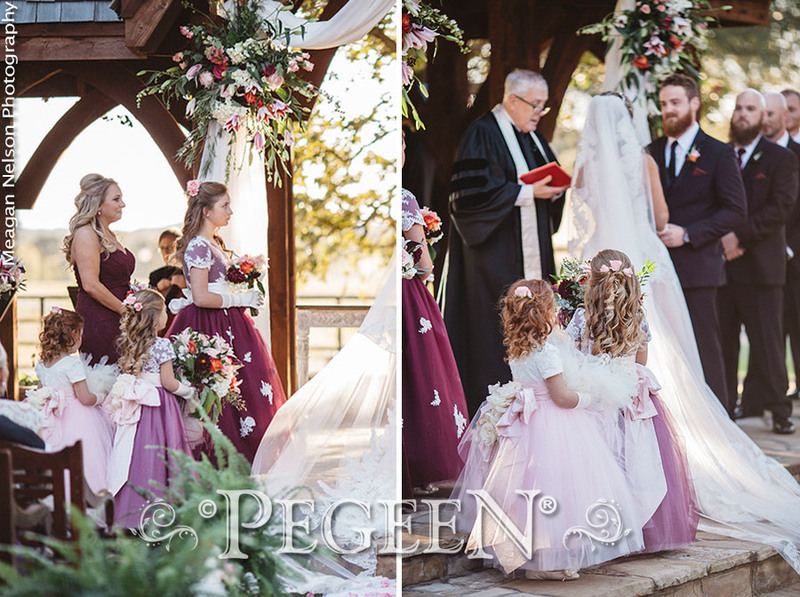 The two smaller girls also used our Pegeen Signature Bustle +90 to complete the look. 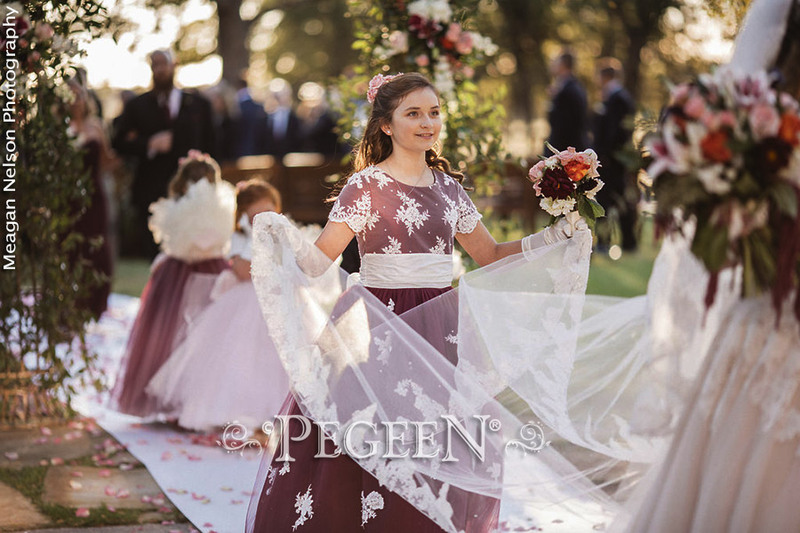 Multi colored tulle was used for all three dresses.